For those who have been eagerly waiting the start of the new football season there is not much longer to wait. This weekend sees the traditional curtain raiser to the football season, the FA Community Shield. 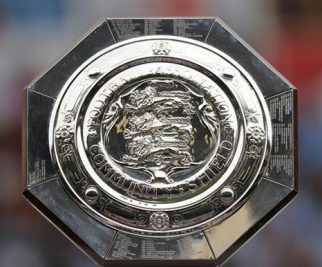 The Community Shield (formally known as the Charity Shield) is an annual football fixture held between the champions of the Premier League and the winners of the FA Cup. This year’s Community Shield should be a thrilling match as Chelsea take on Manchester City. Chelsea who won the FA Cup for the eighth time in May will be hoping to kick off the new football season on a positive note. Especially as their Manager of the last two seasons Antonio Conte has now been replaced by anther Italian Maurizio Sarri, highly rated by none other than his Community Shield counterpart Pep Guardiola of Manchester City. With Chelsea only managing to finish in fifth position in the 2017/18 Premier League season, Sarri will be hoping his reign at Chelsea begins with some silverware. Manchester City won the Premier League Title of the 2017/2018 Season in commanding fashion scoring a record 106 goals in the 38 matches they played in. Although Manchester City’s record summer signing Riyad Mahrez looks doubtful for the FA Community Shield after being injured in a post season match against Bayern Munich. Some football pundits see the Community Shield as a friendly Cup Final with not much prestige. However, Manchester City manager Pep Guardiola sees his clash with Chelsea as “the first final” of the season and a chance to add to their trophy cabinet. With an expected crowd of 90,000 plus fans inside Wembley Stadium the atmosphere should be electric and the FA Community Shield should produce a match of end to end entertainment. If you are lucky enough to be going to this year’s FA Community Shield you might want to consider booking your own private London chauffeur car for the match. At TST Car Services we pride ourselves in providing a range of competitively priced Mercedes Saloons and People Carriers to take you and your guests to and from Wembley Stadium in style.